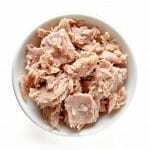 Canned Fish Hacks – Mix, Coat, Swap and Top | JPMA, Inc.
Omega 3 fatty acids, (from canned salmon), which help prevent heart disease and may help improve your mood. Canned Fish Hacks for Better Health. Fish is a great low cost protein option for any time of day. Top a whole-wheat pita with hummus and canned salmon for a quick lunch.